For 4-days-tickets you can get an early bird discount until 31 January 2019 in the amount of 109.00 Euros (**plus advance booking fee and processing fee): online or at the known pre-sale locations: Hugendubel bookstore, Tourist Information & Ticket Service at Falkenhaus, as well as at the offices of Main-Post (all in Würzburg) and CTS Eventim points of sale (http://www.eventim.de). The early bird discount is only available until 31 January 2019, afterwards the ticket will be 119.00 Euros (**plus advance booking fee and processing fee). The quantity is limited and only while stocks last! For safety purposes children are only allowed to visit the evening concerts (cicrcus tents) from the age of 12 and up with a valid ticket and when accompanied by a legal guardian. Children under the age of 12 may access the festivalground for free (excluding the circus tent). The day-ticket with evening concert is valid for one day of your choice, and for all items on the programme of the festival (cocnerts at the circus tent, open stage, basar, fashion show, children's programme, panel discussion, etc.). With the ticket you have access to the festival ground and the circus tent. The ticket is available in the pre-sale for 35.00 Euros (**plus advance booking charge and processing fee) online or at the known pre-sale locations: Hugendubel bookstore, Tourist Information & Ticket Service at Falkenhaus, as well as at the offices of Main-Post (all in Würzburg) and CTS Eventim points of sale (http://www.eventim.de). The price for the ticket at the box office will be 41.00 Euros and there will only be a small contingent available. The quantity is limited - thus you must be quick and preferably already order your ticket in the pre-sale. Starting on 30 May 2019, the general admission tickets will be available for 8.00 Euros (* from the age of 12 up) directly at the box office (available without limit on quantity). *Children under the age of 12 may access the festivalground for free (excluding the circus tent). You can get further information on the performing artists at MUSIC PROGRAMME. Due to great demand we recommend that non-local visitors purchase 4-days-tickets in good time. **plus 10% advance booking charge and EUR7.50 for shipping costs (within Germany) and processing fee. (Shipping costs may vary according to the respective foreign order. You can view the total amount in the last step of your order). The tickets will exclusively be despatched per registered mail. 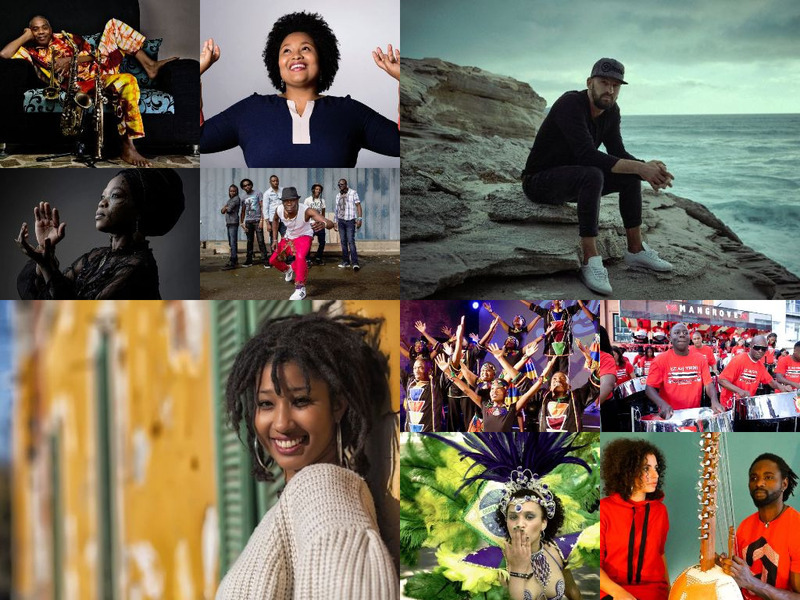 Due to several negative experiences we would like to point out that the original Africa Festival tickets can only be ordered online via our homepage or CTS Eventim. You can directly buy the tickets in Würzburg at Hugendubel bookstore, the Tourist Information & Ticket Service at Falkenhaus, as well as at the offices of Main-Post. We warn against ordering at other ticket providers (e.g. viagogo). On presentation of the official ID featuring the marker "B" the accompanying person of a severely disabled person will receive free entry to the festival ground. Hugendubel bookstore, Tourist Information & Ticket Service at Falkenhaus as well as at the offices of Main-Post (all in Würzburg) and CTS Eventim points of sale. The box office at the main entrance of the festival will be open on Thursday, Friday, Saturday and Sunday from 11 am to 07.30 pm respectively. Starting on Thursday, a small contingent of tickets for all evening concerts will be available for purchasing. If you have any questions regarding the ticket options or the Africa Festival in general, you can reach our team from Monday to Friday from 09 am till noon at: +49 (0)931 150 60 or via our online contact form. Please understand that we don't accept ticket orders via phone. Please note: As the musicians partly arrive directly from Africa, problems can arise. Therefore we must reserve the right to change our programme at short notice.